Enjoy a cigar with this single ashtray. Made from light grain oak wood, it is durable and long lasting. It looks great even when not being used and features an aluminum channel to rest your cigar in and a stainless steel tray for the ashes to collect in. 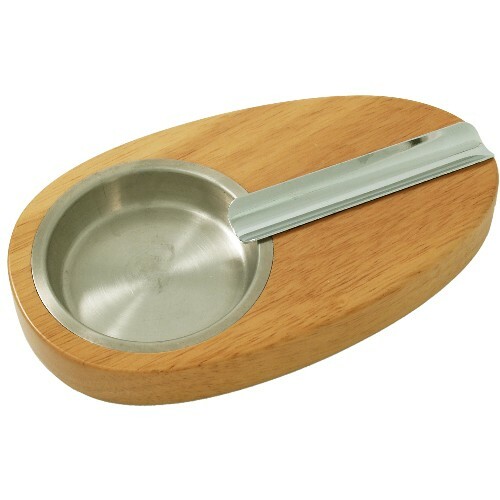 This ashtray has a felt bottom to protect household surfaces so you can enjoy a cigar anywhere without a mess! This item is painted wood, but the grain does not show through.